LONGMEADOW—Months after a contentious school personnel decision clove this wealthy suburb in two, residents voted to institute recall elections for most municipal offices. 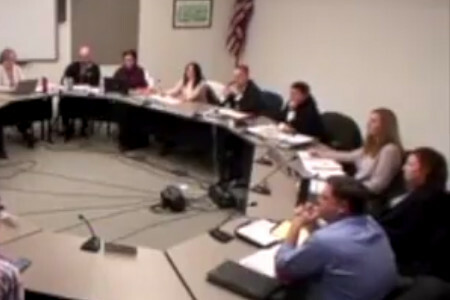 In November, the School Committee voted to not renew School Superintendent Marty O’Shea’s contract. Opposition to that decision spread quickly, prompting the Special Town Meeting Thursday night to institute recalls. The Committee’s vote effectively dismissed O’Shea, a popular leader among students, parents and teachers. Attempts to find some type of middle ground failed. Although supporters said the home rule amendment adding recalls spoke to broader concerns, the pace and tenor of debate left little doubt as to what fueled the debate. Not all officials will be subject to recall. On the advice of town counsel, the Select Board was excluded. Opponents highlighted the inequity. “I believe if we want more accountability for elected officials, it should apply to everyone,” said Jennifer Falcone. Open Town Meetings are perhaps the purest form of democracy perhaps in the world. All eligible voters may participate. 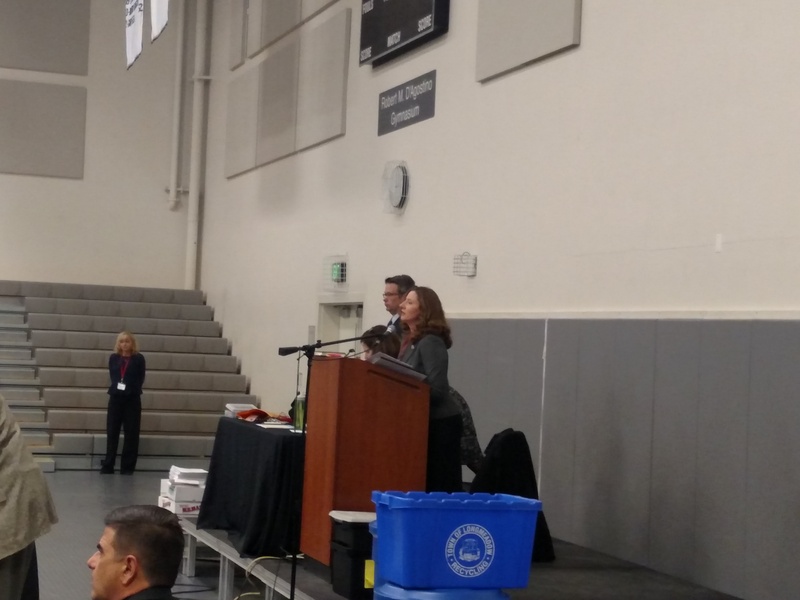 Town meeting occurs annually in Longmeadow High School’s gym and they can be heated. Before debate began Thursday, Town Moderate Rebecca Townsend warned voters to stay on topic and to not ramble. Nor would she countenance verbally attacking officials or urging their recall—as recalls do not yet exist. There were two other proposals before the Town Meeting, but they ran into legal problems. One would contradict state education law by giving some school financial power to the Select Board. The other withdrawn article created recalls but included the Select Board. Town Counsel Mike Schneider advised this was legally impossible. It was never clear which state law or town charter provision blocked that route. The consensus was only a charter review, which does not involve the legislature, could impose recalls on the Select Board. However, the Massachusetts Home Rule Amendment explicitly allows petitions on virtually any subject, even those the legislature controls exclusively. Town Meeting could not directly refer a charter change like this to a townwide ballot. Although unavailable for state offices, many Massachusetts municipalities allow recalls, each with different rules. Fall River has experienced several. Residents there are presently trying to recall Mayor Jasiel Correia whom the feds have charged with fraud. If enacted, Longmeadow would hold a recall election if organizers collect signatures from 15% of registered voters. The collection window is 45 days after filing an intent to recall an official. The recall election would include both a question on recalling the official and the names of candidates to replace him or her—if that recall question succeeds. The official facing recall could run in that election, too. Rules limit how frequently an official could face recall. This differs from Springfield’s recall procedures. The city has the same signature threshold—15% of registered voters—but only allows 20 days to obtain signatures. Springfield’s 1979 recall law, however, only vacates the seat. A successful recall would trigger the same procedures that fill a seat when an official departs due to resignation, incarceration or death. Despite amendment supporters’ insistence that the recall was bigger than the School Committee’s recent moves, O’Shea’s defenestration loomed large. Town Meeting overwhelmingly beat back attempts to raise the signature threshold and limit recalls to future terms of town electeds. Resident Jerold Duquette proposed the latter. His proposal went down amid a mix of coherent, if not convincing arguments about criminality and gobbledygook about elected officials knowing what they got into. How officials elected before recalls existed could know they are subject to them was never explained. Backing higher signature thresholds, Brian Crawford described drama he experienced in California. In 2003 just after his reelection, Governor Gray Davis lost a recall election, Crawford said. He said some recalls, like Davis’s, were too easy (a 12% threshold). Crawford suggested 30% of registered voters, as some Golden State communities have for recalls, was better. But according to Ballotpedia, only some communities have that threshold. A California community of Longmeadow’s size—roughly 15,000—would require only 20% of registered voters to trigger a recall. Nonetheless, the Town Meeting rejected Crawford’s change, too. 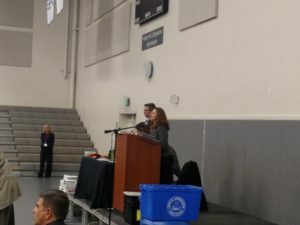 The Town Meeting’s continued rejections of these amendments revealed the depth of the backlash the School Committee has uncorked. Resorting to the imposition of recalls may be misguided, but the Committee’s failure to better explain itself or to negotiate poured gasoline on the fire. 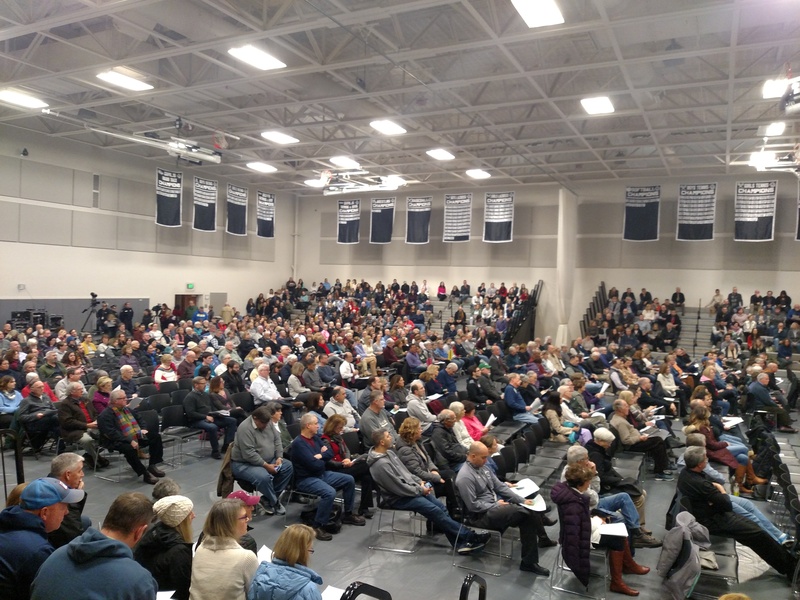 Angry residents could not even wait for the regular May Town Meeting, even though the earlier one will probably not produce recalls much faster. A home rule petition must go through the same process as the thousands of other bills the legislature considers. The bill may not become law before regularly scheduled elections. Only one committee member that opposed O’Shea, Stephanie Jasmine, is up in June. After the amendments failed, additional pushback bubbled up, but did not gain traction. Former Select Board member Alex Grant and former School Committee member Russell Dupere said recalls would dissuade people from seeking town office. “Would you be willing to campaign and serve on elected boards?” Grant inquired, citing the time and cost of a campaign. Town Meeting was unmoved. As the amendment required a 2/3 majority, the final vote required paper ballots. Moderator Townsend announce the vote shortly after 9pm. Of the 870 residents casting ballots, 635 or 73% backed the home rule petition. Before residents ended debate and voted, Duquette made another plea against. He said recalls would create “a way to intimidate and embarrass public officials.” It could be especially bad when unpopular, but necessary policies, like school redistricting, came about. Putting aside the Select Board’s exclusion, recalls could affect the School Committee most anyway. Aside from wealth, Longmeadow schools are the town’s defining feature. Residents know and value this. While moving to recalls was novel, the magnitude of public passion on education should have surprised no one. Realistically, should the legislature act, the threshold will be harder to reach than it seems. Yet, committed opponents may force through recalls. The danger is not a recall springing from a broadly condemned decision like giving O’Shea the hook. While not necessarily criminal or malfeasant, the School Committee’s abject failure to read and plan for the politics of their decision would invite the inevitable voter reprisal in whatever form. The trouble may arise when a committed individual, focused on the singular needs of their child, turns their grievance into a political quagmire that engulfs the town. Hardly everyone, even in tony Longmeadow, has the means to do that. Yet, enough do such that recalls could arise in this manner.